i heart peonies: It was Miss Peacock, in the cafe, with the candelabra! It was Miss Peacock, in the cafe, with the candelabra! Today is my first day as a bee on Weddingbee! I needed to write a good post for my introduction, so here it is, in all its glory. I hope you will come visit me over there, too! Hello all! I cannot believe I am actually writing this post. I am not sure if I still hold the record, but I was told that I was the Weddingbee applicant with the longest span of time between application and wedding date. Mr. Peacock and I have been engaged for one very exciting year and I still have nine months to go before the big, crazy day. Mr. P: Why? What happened?! Did you get your assistantship (funding for my PhD program that I have been waiting on)?! Mr. P: Did our condo sell? Me: No. You are ruining it! Mr. P: Oh, then, I'll just see you when I get home. He showed some restrained excitement once he had a chance to read the email, but I was still going crazy. I called my parents and emailed friends. My dad was confused- "So, are they paying you?" They are paying me with blogging love, Dad. I had a hard time picking between flowers, candy and birds for my icon. My favorite flowers already had bees attached to them. As much as I love candy, I don't think Miss Swedish Fish rolls off the tongue. I kept coming back to peacocks for a variety of reasons. 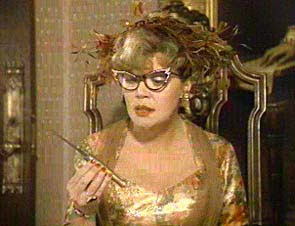 One is my love for Clue (both the movie and the game) and the payoff of being Mrs. Peacock would be oh-so-nice. Her glasses are fabulous, aren't they? Another is this fun photo from Mr. Peacock and my engagement trip to San Diego. Here I am chasing a peacock, while attempting to walk like a peacock. And finally, peacock starts with a "p," as does Mr. Peacock's last name. Mr. P and I are getting married in our sweet hometown of Chicago. I can't wait to show it off on the WB. Since we have been engaged for a year, I have lots of plans to share and yet still a lot to do. I look forward to sharing my adventures in wedding planning as well as hearing all about yours! congrats. It took a long time. I AM SO HAPPY FOR YOU! You're going to post on both places right? Actually, my posts from here go onto weddingbee. I don't post directly on that site. Mrs. Bee is going to take some of the old ones first. Eventually some will start getting cross posted and some will be left here. I almost started another blog just for weddingbee, but then I realized that that was CRAZY! Yay! So I read the weddingbee post before this, and I was like 'This Peacock character sounds like a really cool girl AND she's from Chicago.' And then I realized it was you and it made sense. Congratulations!